From NASA Watch the Global Precipitation Measurement Satellite has serious issues. Due to the culmination of abusive behavior by the Mission Systems Engineer over the past year, including hostile treatment in front of project and division management during a review, and continued assault in the parking lot later that same day; I resign my position as Lead of the High Gain Antenna System for the Global Precipitation Measurement satellite at Goddard Space Flight Center effective immediately. . . .
(It goes on for like five pages). No doubt, the project is at risk. Management ordered attaching the calibrated, and delicate, antenna module for a satellite experiment --- attaching it very early on in assembly -- to a partly built satellite. Told the scientists they had to trust nobody will bang on it and misalign it during the coming months. Watched it get beat up. Got told it was their problem. Seeing the work needlessly banged up that way would be infuriating. Knowing it was avoidable, being kept from fixing it, and knowing it was going to be shot into orbit -- headpalm stuff. With forehead smack, repeatedly. Yeah, GPM has always been kind of a cluster-coitus. It ain't the worst, but it's certainly not representative. There seems to be a few apologists lining up behind the honchos. Can't help but think of Challenger in this - I wonder how many FUBARs and potential FUBARs NASA's top brass can fling before it all falls to pieces? Somewhere in Eli's memory cells is the image of a satellite on a stand in a clean room being knocked over and destroyed. 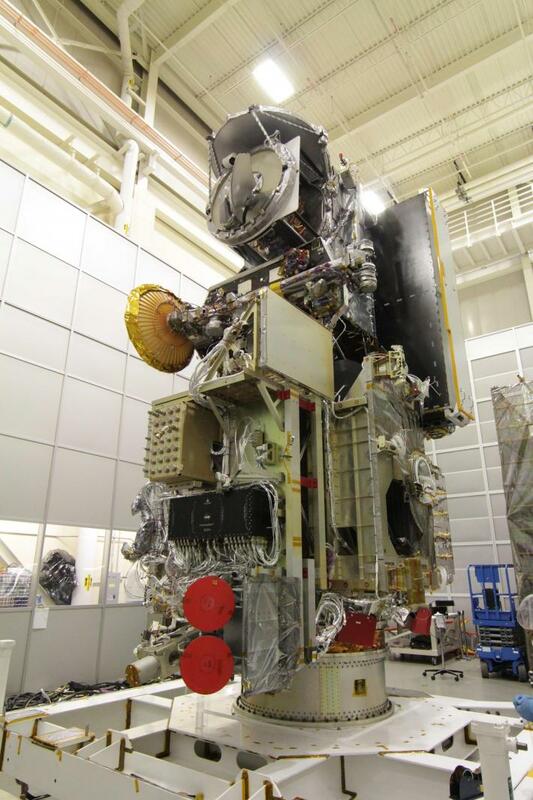 The satellite that tasted cleanroom floor was NOAA N-Prime. That was built by Lockheed Martin. GPM is being built at NASA Goddard. High gain antennae are pretty common on spacecraft. I'm surprised that this was the cause of such strife. OK, time for some perspective. GPM is one project among dozens being run at Goddard. Most of the projects are moving along just fine despite significant technical challenges, budget constraints and a headquarters that makes the word Byzantine look too mild. Every project goes through difficulties, disputes and even mind boggling stupidity. Every project teeters on the brink at some point. Yet, the vast majority work. One of the biggest cluster coiti I worked on ultimately went on to see collisions between black holes, black holes gobbling up neutron stars, and on and on. It wound up being a pretty cool project despite the fact that a key component of one of its instruments failed in the first couple of months (University instrument). Talk of NASA's demise if greatly exaggerated. There are lots of people in Congress and in past administrations who would love to see NASA go away, but nobody wants their fingerprints on the corpse. So NASA will limp along on its measly 17 billion a year, and most of its missions will continue to succeed. This will not be because there is no stupidity or because people avoid pettiness or even downright viciousness. It is because a few folks there really care and will do whatever it takes to make the mission work--the 10% who do 90% of the work. Just like any human endeavor. Things are not all going fine at GSFC, consider the James Webb Space Telescope which is eating everyone's lunch and dinner. High gain antennae are pretty common on spacecraft. I thought the same thing but I get the sense we're not talking about a reasonably rugged communications antenna but something much more fragile. This antenna in particular looks as though the smallest push on the feed will mess it up nicely. "The GMI is characterized by thirteen microwave channels ranging in frequency from 10 GHz to 183 GHz." Look at the distance between the reflector and the feed, do the math around those wavelengths and we can see that a little itty-bitty misalignment will make this device largely useless. I'm not saying that the high gain antenna isn't delicate, I'm saying that, unlike the instruments, the HGA should be pretty similar to hardware that has flown in the past. The HGA handles comm back to earth (via relay satellite). It's not easy but it's not esoteric either, and there should be an extensive body of knowledge to work from. BTW, I do not like how Mr. Cowing @nasawatch just wantonly airs any dirty laundry he can find so long as it paints someone at NASA in a bad light. Keith could have followed up on this (he has all the names) and at least gotten another side of the story. It's not journalism, it doesn't advance the truth, and it is not helping. Excuse me for being dense here, but are we dancing around a Harperesque attempt to smother information at source via pre-arranged but "blameless" sabotage for extremely short-term partisan poltical benefit of the 'no news is good news' variety? Or has a coupled of hours spent in wonderment at Montford's crazy pit inmadvertantly left my paranoia centres hyperactivated? I don't remember having said all was well at Goddard. And, Eli, I could tell you stories about Webb that would make even you blush. Sorry a_ray, IEHO NASA is on life support. Too many missions, too little money, an aging workforce and too many years of hyper-political HQ. Eli blames most of it on Houston. Some commenters seem to consider NASA to be a monolith. But in fact, there is considerable diversity. Two weeks ago, we in the Intelligent Systems division at Ames lowered the bar for entry to space activity, by open sourcing our next generation mission ops software, Mission Control Technologies (MCT). Certified for ISS ops, already adapted for seven NASA spacecraft mission systems at three NASA centers, simply by writing small plugins. Non-NASA spaceflight organizations are interested in using it. Even high school students are, too, and not just for space data, because it's a general-purpose platform. Some students have talked about tweaking it to show data from their space settlement simulations, data from the web, and sensors on their cell phones. Free to use, extend, and modify, per the Apache 2.0 open source license. Needs only 440 megs of RAM. We've started building a worldwide community of people writing and sharing plugins to extend MCT's functions. Please spread the word that NASA is transferring its technology and facilitating its development. Please don't treat NASA as a monolith. My team at NASA Ames two weeks ago lowered the bar for entry to space activity by open sourcing the next-generation mission operations software, Mission Control Technologies (MCT). It lowers the cost of mission ops by providing most of its functions generically, so it can be adapted to specific missions/projects/data/instruments by writing simple plugins. 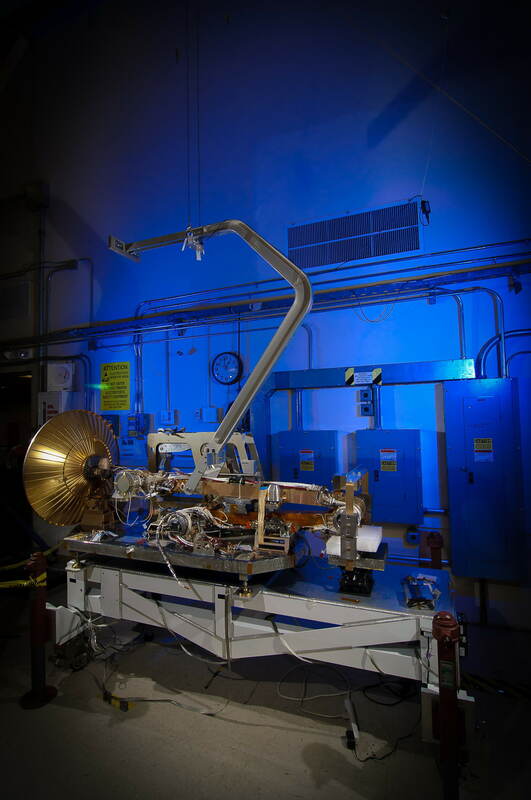 Already it's been adapted for seven such applications at three NASA centers, including certification for ISS ops. Several small profit and nonprofit space organizations are interested. Really it is a generic platform, so it can easily be adapted to non-space domains, even by students who have said they want to use it to show their space settlement simulation data, and others who want to try to show their cell phone sensor data. Free, per Apache 2.0 open source license. Needs only 440 megs of RAM. No special computer expertise needed to download, install, and run the evaluation version, so students younger than high school can use it for projects. Publicly written plugin extensions will be uploadable to the MCT site to share with other people, thereby building a world community of users. NASA is creating and then transferring its technology to the public, and nurturing that technology's growth and democratization. Like stupid managers,insulting managers, assaults, temper tantrums and even some battery never occurred in the good old days when I was there. Nor general pessimism of a spacecraft's condition and fears of its failure when launched. Following up my previous comment about MCT: Johnson Space Center paid for most of MCT's development, and was a crucial partner in its design. Eli, I don't dispute any of that--especially the shortage of funding. There is also the way the Agency has been turned into corporate welfare for Defense contractors rather than a builder of satellites. Hell, HQ doesn't even allow the Centers to publicize scientific discoveries made by science missions as they are afraid it would detract from the manned program. Nonetheless, somehow the Agency is producing missions that are producing good science. I don't deny there are risks and threats--even existential ones. Sequestration is going to be a very rude awakening. And frankly, I am very glad I'm much nearer the end of my career than the beginning. However, the fact remains that there are a lot of talented engineers who work their butts off to make things work. My comment above refers to "MCT," but the original comment never appeared, so here's a shorter version: NASA Ames just open sourced the next generation of NASA mission operations software, Open Mission Control Technologies. JSC funded most of it and was a crucial partner in its design. NASA has transferred that technology to the world and is nurturing its extension by NASA and the world. Search the web for Open Mission Control Technologies. Lots of stuff going into the spam bucket. If your comment does not appear, Eli will fish it out. Thanks, Eli. Sorry for the duplicates; feel free to delete them. Please tell faculty and students about MCT, if you're inclined. Computers, engineering, space, science, or just casually interested in hacking.